MOUNT Perry resident Des Robinson treats his hobby farm like a proper farm, which is why he was distraught when he discovered invasive weed praxelis on his property. "I thought, 'What the bloody hell is that?' ” Mr Robinson said, recalling when he first discovered the purple-flowering plant on his property about five years ago, which he believed was transported there during road grading. What started as six to 12 plants soon became an infestation, made worse by his hand-pulling of the weeds, which spread their seeds further. "It will take over your pasture entirely if nothing is done,” he said. Mr Robinson believes praxelis is as bad as parthenium weed and that it is allelopathic, meaning it inhibits the growth of other plants. He said in patches where he had removed praxelis from his pastures, siratro took about two years to grow back fully. 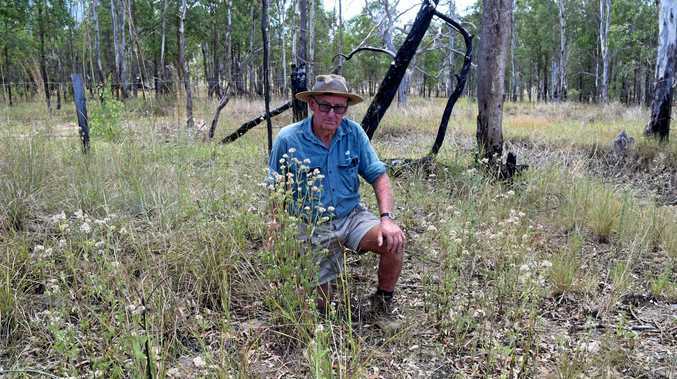 Queensland Herbarium's Ronald Booth said the available evidence seemed to confirm Mr Robinson's suspicion of praxelis being allelopathic, citing a US Department of Agriculture weed risk assessment that canvassed the science. Mr Robinson said he had also seen patches of praxelis in his neighbour's yards. 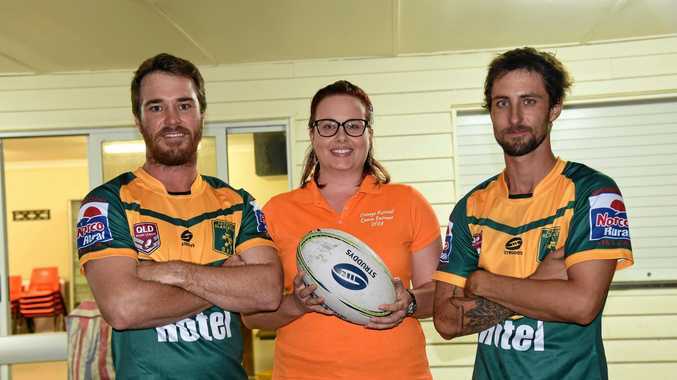 He has previously raised the issue with North Burnett Regional Council and Biosecurity Queensland, even going so far as arriving to a council meeting with a potted praxelis to make his case, but he believes neither organisation has been receptive to his plight. He raised the issue again at last month's North Burnett Ag Network forum. 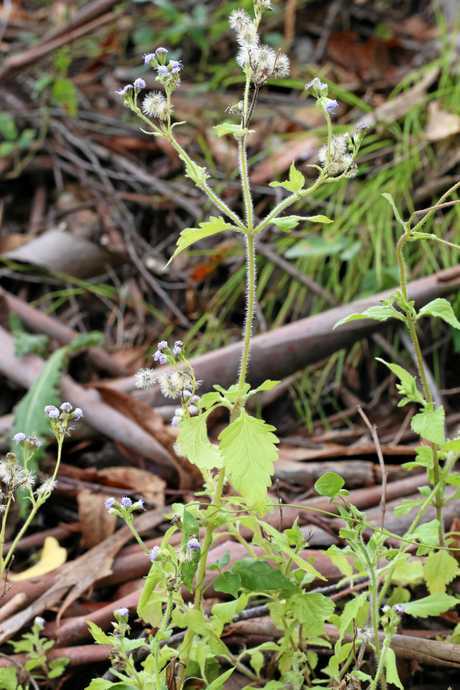 Praxelis is on the National Environmental Alert List of invasive plant species, meaning it poses a "high or serious potential threat to the environment”, currently has a limited distribution and is amenable to successful eradication or containment programs. Using the Invasive Species Assessment Framework, the council has designated the strategy for managing praxelis as "asset protection”. According to the Wide Bay Burnett Regional Biosecurity Strategy, "asset protection” means preventing the spread of invasive species to "key sites/assets of high economic/environmental/social value or to reduce their impact on these sites of species present throughout region”. However this seems to be contradicted by council environmental services manager Jeff Miles. "Although praxelis is nominated in (the council's) draft biosecurity plan, I would not suggest it is abundant in any way,” he said. "Asset protection is also used to classify those group of invasive species that are not prioritised (scored) high when scored using the risk framework. "Given the risk-based approach of the legislation, there is a shift in focus towards those invasive species that are not present (but are close) and those that have potential significant impacts to our rural economy and the environment. The council t will release its draft biosecurity plan 2018-2023 in the coming weeks for a further round of consultation. While Mr Robinson is not happy about the new addition to his pastures, he says it's important primary producers combat the species before it takes hold. "The only thing you can do is educate people about praxelis and what it can do,” he said.